Jailbreak 7.0.4 - 7.0 FAQ. 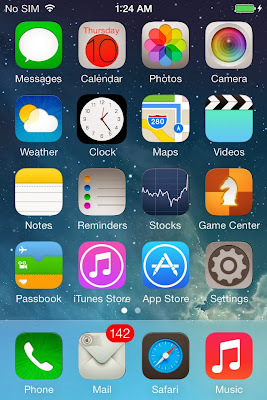  Home  iOS 7 Jailbreak  iOS 7.0.4 Jailbreak  Jailbreak 7.0.3  Jailbreak 7.0.4  Winterboard iOS 7  Jailbreak 7.0.4 - 7.0 FAQ. Q: I want jailbreak iOS 7.0.4. I download iOS 7.0.4 OTA. Can I Jailbreak 7.0.4 on my iPhone? Q: I have iPhone 5S running on iOS 7.0.3. Can I jailbreak my iPhone 5S? How to? Evad3rs.Net: Yes. We recommended restore your iPhone 5S and install iOS 7.0.4. After installing iOS 7.0.4, you can download Evasi0n 7 for jailbreak your iPhone 5S. Q: I like Winterboard. Can I install it after jailbreak iOS 7.0.4-7.0?